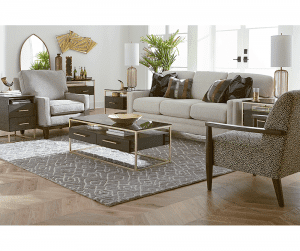 This classy collection offers a stunning combination of wood, glass and metal, enhancing the visual interest of any room you place it. Framed with warm gilded metal. 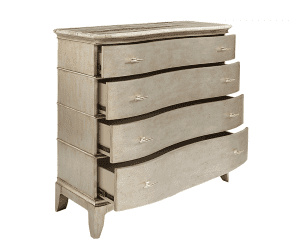 Features a fumed black glass top above two sleek wooden drawers. 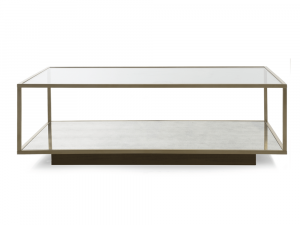 Featuring a unique asymmetrical glass shelf, this handsome coffee table lends sophisticated style and modern appeal to any room it’s placed. Tempered Glass & metal frame. 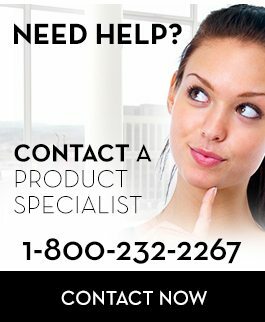 Available in gold or silver at no additional cost. 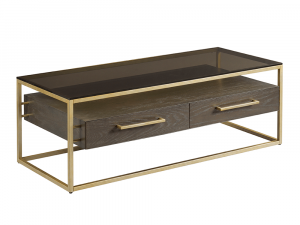 Available to order as an end table or a console table. 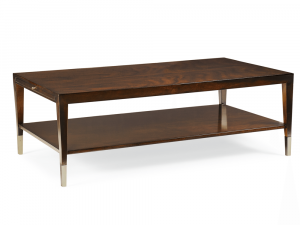 Sophisticated and sleek, this jaw dropping coffee table blends modern elegance with vintage style, to create a sensational living room centerpiece. 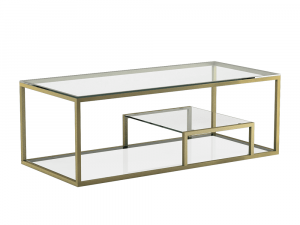 Featuring a gold plated finish, the antique mirrored shelf is situated atop an espresso black pedestal, creating the illusion of a floating coffee table. 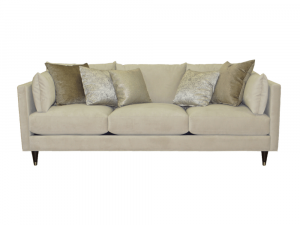 Incorporating trendy design elements, with a mixture of warm colour tones and contrasting materials. 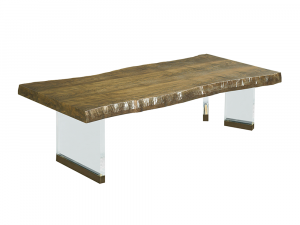 Distinguished and asymmetrical, this live edge cocktail table with acrylic base will fill your home exceptional elegance. Features live-edge effect on the table top. 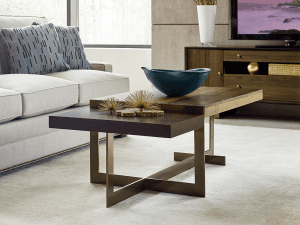 Accented by brushed metal on thick acrylic legs. Burnished brass metal, smokey quartz. Please note that every live edge piece is unique and will not be identical to the photo. 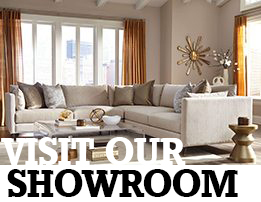 Incorporating trendy design elements, with a mixture of warm colour tones and contrasting materials. 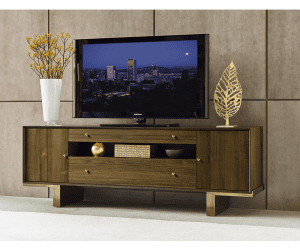 This fascinating media unit will fill your home exceptional elegance. 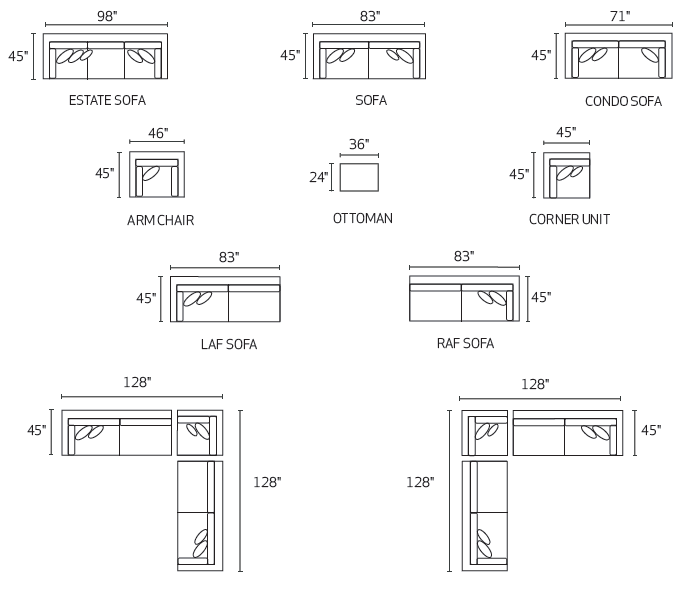 Two adjustable shelves, one behind each door. Hand holds in back of case. Recessed area in back behind door. 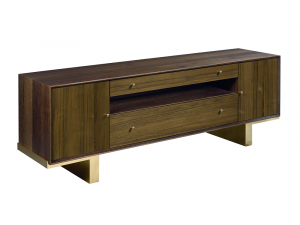 Incorporating trendy design elements, with a mixture of warm colour tones and contrasting materials. 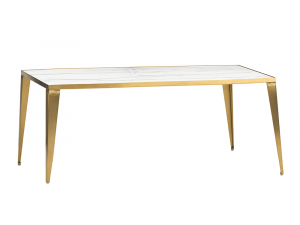 Distinguished and asymmetrical, this fascinating cocktail table will fill your home exceptional elegance. 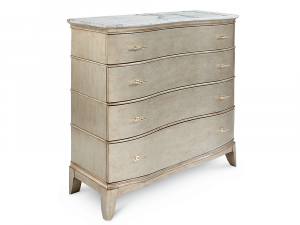 With a design inspired from a combination of ancient Roman and Greek jewelry, this stately Collection bears a captivating glow that enhances any style of room. 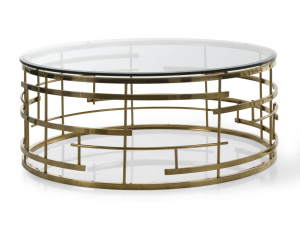 Featuring a circular metal base, crafted with remarkable complexity and finished in shimmering gold, the Coffee Table has a perfectly fitted round glass top, so you can always admire the base. 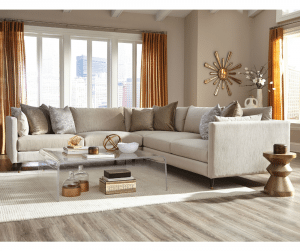 Inspired by retro design and architecture, this opulent collection offers 2 decorative styles that lend a boldly stunning and clean touch to any type of living space. 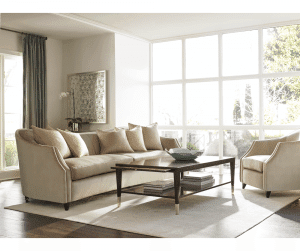 Crafted with a stainless steel frame. Features an exquisite marble slab top. 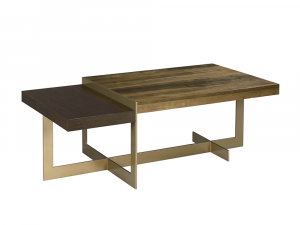 Available to custom order in your choice of a brushed steel frame, brushed gold frame, white marble or black marble top.